Ace Entertainment DJ Professionals take special events and turn them into The Best Celebrations Ever! Our approach is personal, interactive and focused on our customers. We make it our business to provide the greatest service possible helping you every step of the way. We take care of all special music requests/content in all genres, from the classics to present day music. 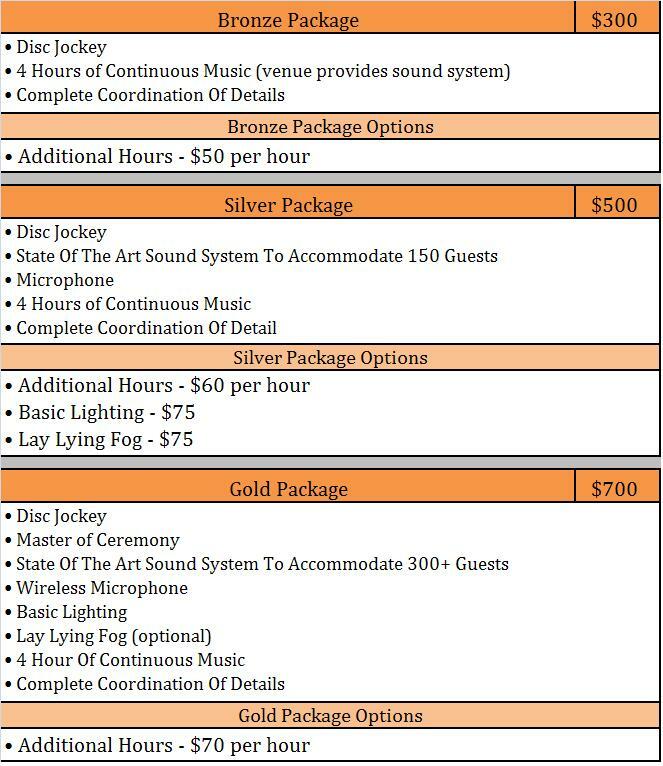 Ace Entertainment offers three basic packages that are sure to satisfy and accommodate all your needs for that very special event. Please contact us to discuss further package pricing and options, as we do our best to accommodate all of our clients.